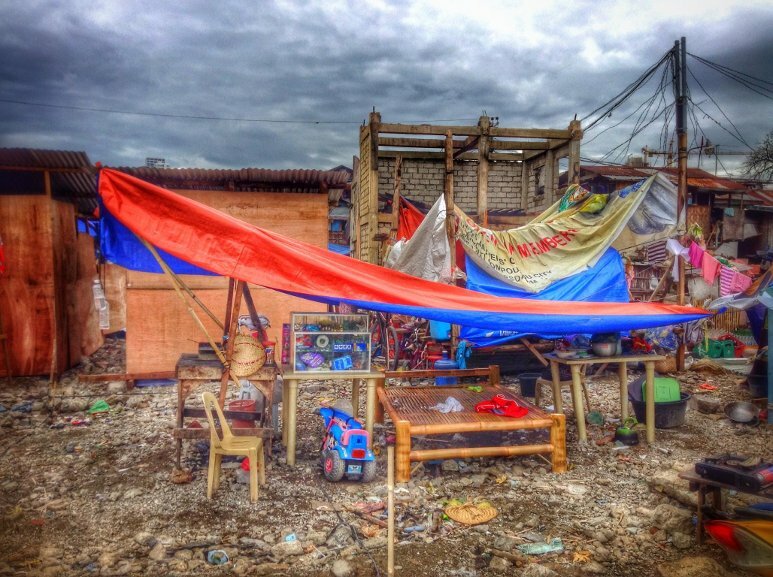 We currently have teams in the Philippines helping in the aftermath of the Typhoon. Our teams are made up of congregation members, residents in our houses, helpers and gap years. 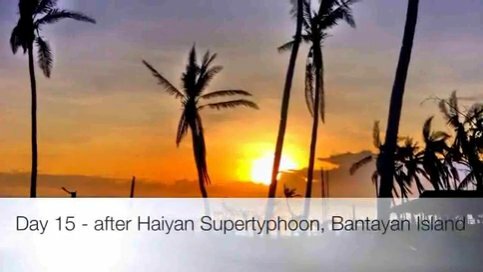 They are going as willing hands and feet to be of any help they can; particularly to our families in Cebu and the neighbouring islands, many of whom have been evacuated into rural areas after their houses were destroyed. We long to be people with soft hearts and hard feet; whenever we see need, to respond as quickly as we can. Our teams have already seen God do such wonderful things. 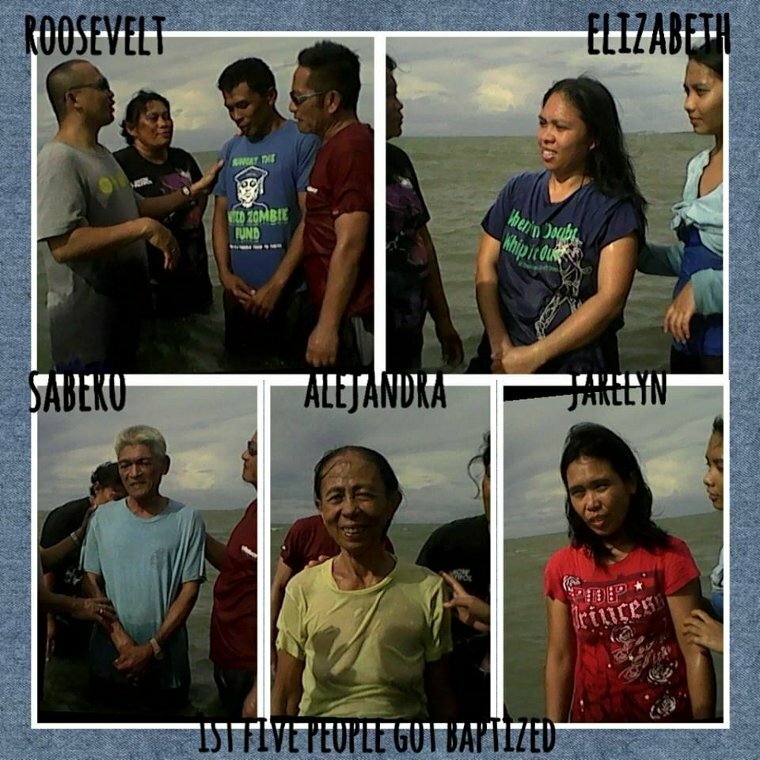 Many families we've met over the last few weeks have met Jesus and have been baptised. 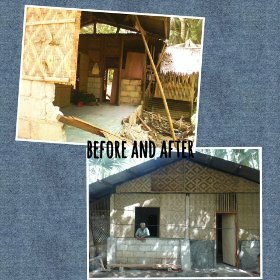 We've seen miracles of provision as we have built houses, and we have even seen someone's cataract completely healed. 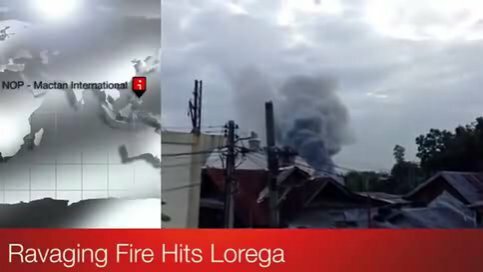 Yesterday (18th March 2014) fire broke out in Lorega, Cebu. 500 homes burned to the ground. This was how it was for us, a few metres from it. 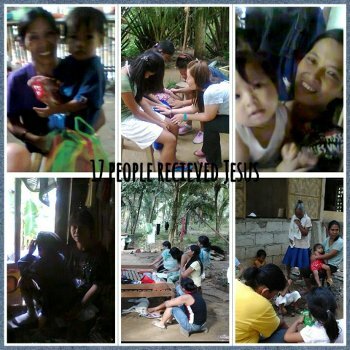 141 victims took shelter with us at our Mission House. Not one of the victims complained, everyone thanked God they were alive. What a couple of weeks this has been for us. As most of you know just over a week ago on March 18th there was a huge fire in Lorega and many of our families that lived there lost everything. Houses, belongings, etc. Most people fled for their lives leaving everything behind. During the next hours many ran to find shelter in the mission house, it was a very stressful time for us with people running in and out to find missing family members, etc. There were crowds of people in the street making it hard even for the fire trucks to get through. We kept praying for no loss of life and that the fire would not reach us & our building. I've never seen a fire as big as this one and so close. I'm very grateful to say that there was no loss of life during the fire and this in itself is a huge, huge miracle. And the fact that the fire didn't reach our side of the street is something we are very grateful for and meant we could have 100+ people staying with us for the first night after the fire. 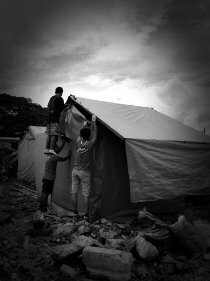 Since then they have all been moved on to various "evacuation centers" in nearby schools and gyms, which honestly is also an unimaginable place to have to live in but at least it's some form of shelter. Despite all that's happening there is a sense of hope amongst us all. And God has been speaking quite clearly and showing us that he is here and I wanted to share with you a few of the things people received as we feel it's very special and significant for us. On the morning of the fire I read a couple of verses that really seemed right for us during this season. This was in the morning and the fire broke out in the evening, so I had no idea what was coming! One was Psalm 90:1-2 and the other was Dueteronomy 33:26-29. They both spoke about God being the Eternal God and our refuge/ dwelling place being in him. It also spoke about the enemy being chased from us by God! "I can turn the bad into good.. I'm the faithful God. I will rebuild the ruins.. I will keep my promise. 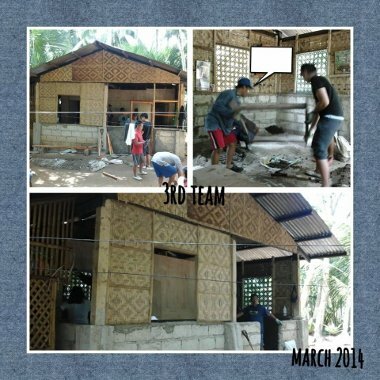 I will turn it into a beautiful thing"
That's special for us too because for the last month we have been looking at Isaiah 61 and asking what are the ancient ruins and what is our part in rebuilding? What did God want to do in the lives of the people here? 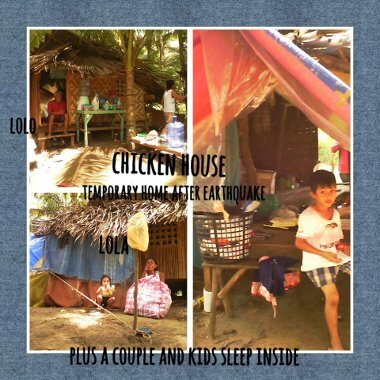 We also heard from different people on our team that over the last few weeks they had been praying for people in the community and God had shown them pictures and visions of Lorega, but not how we were used to seeing it with broken down buildings and shacks, etc, but with trees at the entrances to the streets and children playing and enjoying..others again saw a beautiful garden with streams flowing through it. There are many more I can share but these are a few examples of what God was speaking to us about before the fire destroyed the entire physical area of Lorega. We feel that God has been speaking to us about what God wants to do in the lives of the people that lived there. That he really wants to bring, as it says in Isaiah 61, "Ashes to beauty" and a " garment of praise instead of a spirit of despair". We also really felt he wants to do something in the lives of the children and that caring well for them we would see doors open for his kingdom to come. There's much more but this is all I will say for now. As you pray for us do share anything you receive from God too. We are excited in the midst of grief and sadness, to see what he will do. We are also aware we are in a battle. I'm so sad to say that one of the young people from Lorega, Ardel, died just two days ago on Thursday. Last Sunday he had been collecting junk/ metal to in Lorega after the fire and a wall collapsed on him. He was just18 years old. Tabitha and Abner had known him since he was a child when he used to come for daily meals they provided for children in the early days of our team being here, he had also been part of the youth in years past. We are very sad and of course a lot of people are grieving, So please pray for our team. And for Gods protection over every life. 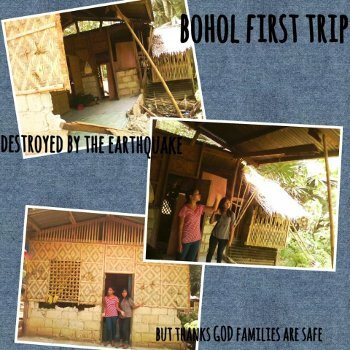 We know God has promises and plans for us and we were so amazed and rejoicing that during the fire there was no loss of life, so as you can imagine this came as quite a shock for us. We have felt all the words he spoke before the fire really assures us that he is here and is with us! So as I said we still have hope! 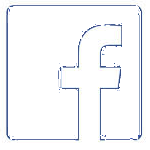 I think my desire to inform, update, and share amazing testimonies has been overtaken by significant events & day-to-day extra-ordinary things! Too much happening with little time to put it from pen to paper. Everyday we experience God's miracles in real and tangible ways- we see physical healings, miraculous provision, and the fatherless suddenly knowing that they have a Father! These mere words may seem too generalized, but when these teenagers give testimonies you see their faces shine with an encounter with the Father. We recently celebrated His faithfulness that we have been sent here 15 years ago! Oh, what an honour and privilege to be doing this and co-labouring with Jesus as He builds His church. And so lovely, yet not easy at times, to grow together as Family. 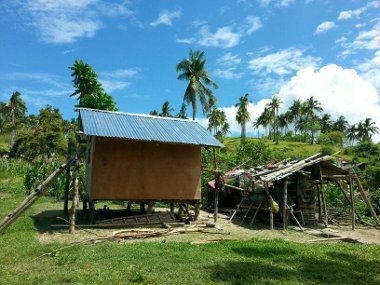 More stories and updates soon with regard to the Relief work in the different Islands who were typhoon-ravaged; the summer activities; the Rebuilding in the New Lorega- we are building two toilet blocks/common toilets for community use and have built more than a dozen temporary houses; and we are not talking about the hopes and dreams that He has put in our hearts!!! I took the liberty to change names where I felt it was appropriate. Totally encouraged and blessed me to hear these reports. So I thought I'd rather keep them as is, with maybe translation where needed and clarification on some text-speak. 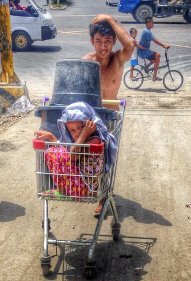 "In Punta (North of Cebu affected by typhoon Haiyan), the open wounds in one of Pascuela's ankle completely dried up & healed. Together with her we pray for more healing of the other one. We helped clean the wound and amazing Clara willing to help clean more after today. 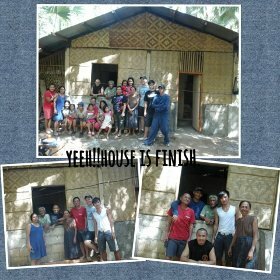 Amazing Jesus, amazing friends!!" 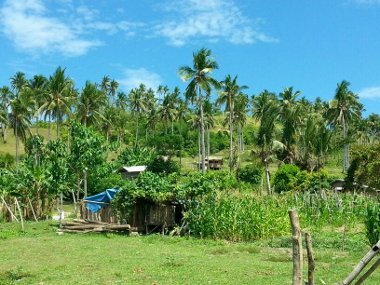 "Another great day in DB (Daanbantayan, Northern tip of Cebu). 'I went outside the house to pee' this is what Francesa the old lady said to us when we arr (arrived at) her hse dis am (house this morning). Ystrdy (Yesterday) we had to lift her up from her bed to get the plywood. And after praying she is walking bit by bit now. Not only physical, the couples are more lively than before." "Adults, young adults, children, lolas (grandmothers/old women), friends and family worship with us ds (this) evening, many had responded to God's word and mostly were touched and cried, beautiful Jesus is so amazing..Tomorrow we'll continue to build the house and 17 people will be baptize in d mrning, Let there be sunshine tom.. gud nyt!" "Hi teams, how's things going in your areas? It hasn't been raining mostly drizzling, windy & cold. 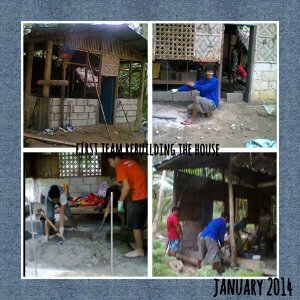 Building of physical & spiritual houses hasn't stopped. This morning a puppy trapped in a pit was rescued by our young guys. Luk Yi went head in the pit & got the puppy out. Owner of the puppy is very happy we found & saved her dog. Bless u all another day of Jesus' amazing works :-)"
Thank you Father for your faithfulness. We are grateful for those who have given, shared, helped, prayed, and encouraged us. 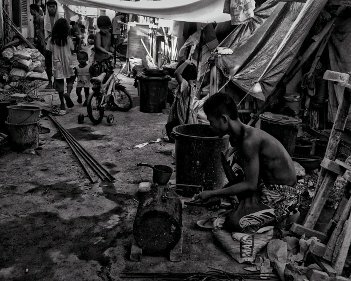 "This afternoon we went to Tangkong where Marcelo leave if anyone remember him, he was the one who has tb and just laying in the bed but now he can sit down and gain weight. our God is so amazing. 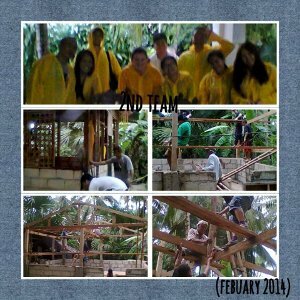 thank you Papa"
"Yesterday we finished building the house of Elizabeth in Mohon Bantayan. today in Ocoy we had a special tym with the kids and after lunch with the older pips. we pray for healing Nanay Rupa much better physically. and her daughter in law Rosell hear Jesus said to her dont loss hope. thank u Jesus"
"I will restore the fortunes of Judah and the fortunes of Israel, and rebuild them as they were at first."